Surprised these didn’t make my list? Ulysses – James Joyce – 1922 – discovered in my 20’s – Don’t get me wrong, this probably is the most audacious novel ever and contains the greatest (longest) sentence ever written and inspired me to visit Dublin (well, maybe more so Dubliners did – damn that’s a great short story collection!) but much of it is unreadable. Beloved – Toni Morrison – 1987 – discovered in my 30’s – This is a classic no doubt, just not my favorite Morrison. Oliver Twist – Charles Dickens – 1837 – “discovered” as a tot – Those who know me know this is one of my favorite “stories” ever, having always been attracted to this classic orphan tale since I was a wee lad…but I’ve only ever known it in film form (having devoured almost all incarnations…even a recent modern spin that transplanted the story to South Africa). I’m afraid to attempt reading it as I found my only other Dickens’ attempt (A Tale of Two Cities) too stamped by the literary mores of its time for my modern mind to get through successfully. One day maybe. Something by Kurt Vonnegut! – Geeze, I love me some Vonnegut. Maybe Cat’s Cradle (discovered in my 30’s) would be number 12? Why did I do only 11? Who knows? Something by Raymond Carver! – Hey, he’s one of my favorite writers ever…but sadly he never wrote a novel. His short stories are huh-mazing, however. 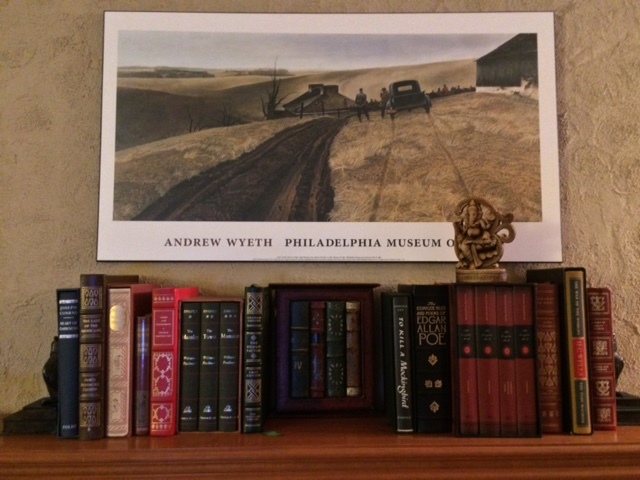 What would make your list of favorite novels? This entry was posted in Art, Book to Film Adaptations, Books, Inspiration, Literature, Pop Culture, The Lists and tagged A Mercy, Beloved, Cat's Cradle, Dracula, Fiction, Greatest Novles of All Time, Jazz, Light in August, My Favorite Novels, Novels, Oliver Twist, Reading, Serena, Suite Francaise, The End of the Affair, The English Patient, The Grapes of Wrath, The Power and the Glory, To Kill a Mockingbird, Ulysses. Thanks for including Toni Morrison so many times on the list. Some might argue the greatest contemporary US novelist. I would be one of the some that would argue she is. My girlfriend and I have tickets to see Morrison speak at the Philadelphia Public Library in April – very excited! Good to hear from you, John – haven’t seen you around The Spin in awhile. Carver was a master for sure. Wish there was more of his stuff to read. Here’s the Amazon link. Book costs $5.50. http://www.amazon.com/Ten-Books-That-Changed-Life/dp/1507817762/ref=sr_1_1?s=books&ie=UTF8&qid=1425580148&sr=1-1&keywords=Ten+books+that+changed+my+life. Aha – gotta buy the book to see the list, eh? Very sneaky – haha. Nice list! I’ve been considering what would be on mine – I think it’s a work in progress and not in order. To Kill A Mockingbird, Harper Lee – I think in high school. I don’t recall reading it for class, so I think I read it for fun. Catcher in the Rye, JD Salinger – again, I was just a melancholy girl in high school…. Flannery O’Connor and Ellen Gilchrist would be on my short story writers list. Oh holy crap – Flannery O’Connor – YES YES YES! She was brilliant – again, like Carver, known for her short stories. But I love her. “A Good Man is Hard to Find” might be one of the most chilling stories every conceived – an innocuous almost jokey title, but the story is a harrowing tale of quasi-serial murder. This also makes me think of Joyce Carol Oates – a local author and brilliant beyond belief. I’ve only read her short stories, but I know she has written novels as well. I wrote a story “The Pumpkin Thief” that was heavily inspired by her style (and setting). Yes, JCO is wonderful. I think I have only read We Were the Mulvaneys. Adding her to my list to read this year. 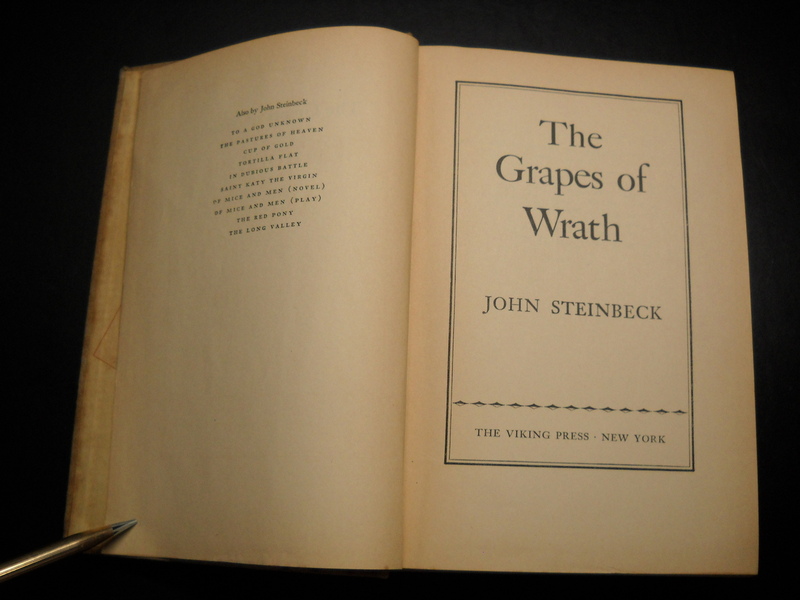 The Grapes of Wrath – Steinbeck. Ahh, Catch-22 sounds right up my alley. Thanks for the suggestion, John! Awesome list, Prakash – thanks for sharing!